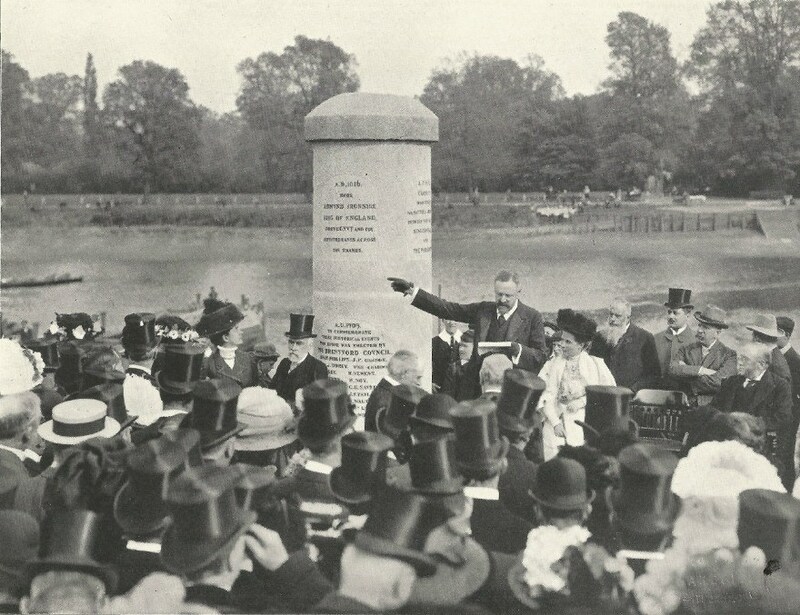 Peter Stuart provided this photo showing the unveiling of the Brentford Monument on Wednesday May 12 1909 by the Duke of Northumberland. Middlesex antiquarian Sir Montagu Sharpe campaigned for the granite monument to be erected. Brentford as it was notes the Duke of Northumberland is to the left of the monument. Mr Montagu Sharpe, to the right, points to one of the four events in Brentford's history recorded on the monument. Bridge, has been erected by the local Council. More information, including the names of the councillors at the time and additional photos of the monument is available.